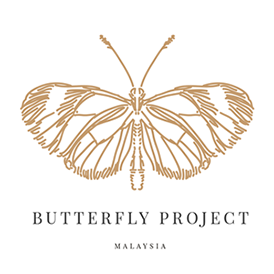 Assalamualaikum wbt and Hello everyone! I realize that i use a lot of japanese branded cosmetic. Especially when it comes in moisturizer or toner. 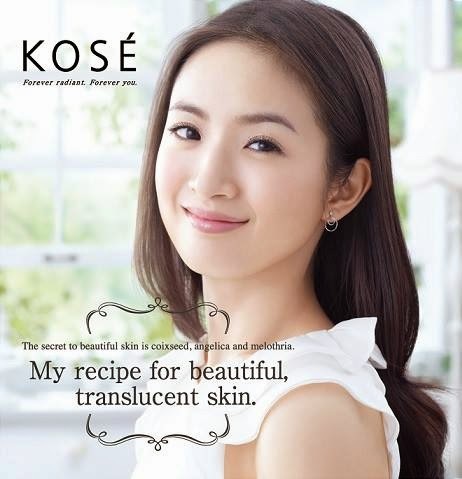 KOSE brand product is one of the my favorite japan brand. KOSE Corp is one of the largest manufacture of cosmetics and was established in Japan and was founded in 1946 by Mr. Kozaburn Kobayashi. In Japan, KOSE Corporation is the parent company of a host beauty brands. Since it's founding in 1946. 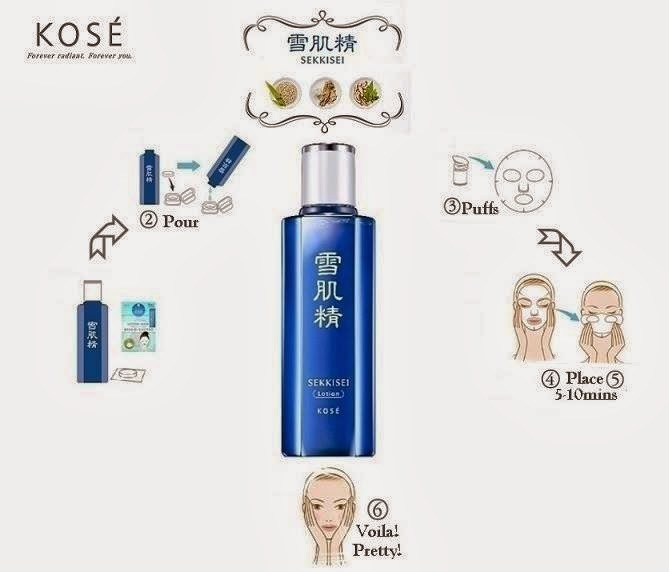 The seminal concept in KOSE Corporation activities has been "to offer the highest quality cosmetic to each and every customer drawing on original technologies". KOSE bestselling skincare and cosmetic brand include Sekkisei Supreme, Sekkisho Esprique, beaute de KOSE, infinity, astalution, moisture akin repair, Junkisui and more. Based in "beautiful translucent skin recipe"containing item containing selected out of approximately 100 types of oriental plants. A lotion creates fine-textured, hydrated "white" skin, translucent skin like snow, using the hydration power of gentle oriental plant extract. Can be use on your face, neck, body and mask. Balance out the skin's moisture level, preventing dullness, roughness, and pimples caused of dryness, as well as redness caused by sunburn from sunlight or by the sun's reflection in snowing area. 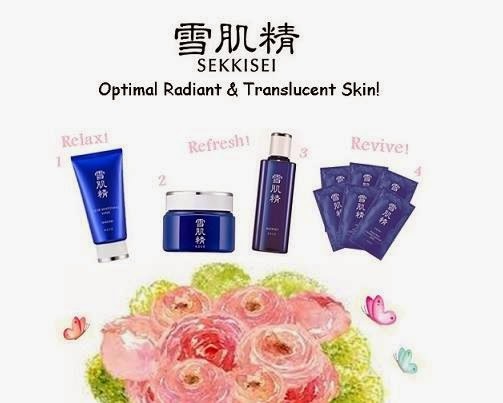 Sekkisei Lotion helps to brightens and hydrates the skin, contains 3 major extract which are selected out of approximately 100 types of oriental plants. It's a refreshing whitening and moisturizing essence that help to prevent pigmentation, freckles and dehydration. Extracted from the seed of annual plant originating from China and Indochina. The hulled seeds are called Coix seed extract, which is familiar to some in the form of Coix Seed Tea, is said effect such as increased metabolism, whitening, moisturizing, and prevention of skin roughness. Extract from Umbellifer Angelica which grow in mountainous area among rock. Often used in bath liquid. Said to have disinfectant, whitening, moisturizing effect. The root of Melothriaa plant in Melothria Japonica Family is called White Lotus. The extract taken from this root is said to suppress melanin production whitening effect on the skin. The texture is in cloudy white lotion with fast absorption, blend instantly into the skin, does not leave any sticky or oily feels, creating fine-texture, plump skin, With a refreshing, light sensation, the lotion leave the surface of skin feeling like smooth. It has a gentle, fresh, and mild floral scent with top note of rose and jasmine blended with chamomile. It's very refreshing and light. How to use KOSE Kekkisei Lotion? * Wet cotton wool thoroughly and pat on face and neckline. * For parched dry skins, use together with Lotion mask 2-3 times weekly. *Place 1 compressed paper mask in bottle cap of Sekkisei Lotion. * Fill the cup generously with Sekkisei Lotion until the marking line and aloow mask to absorb lotion till it puffs up. * Be sure to remove your makeup completely. Then Wash your face with regular cleanser, pad your face dry with a clean towel lastly apply tour toner. * Be sure to align the center of the mask with the center of face. * Press the mask lightly with both hand until it adheres completely. 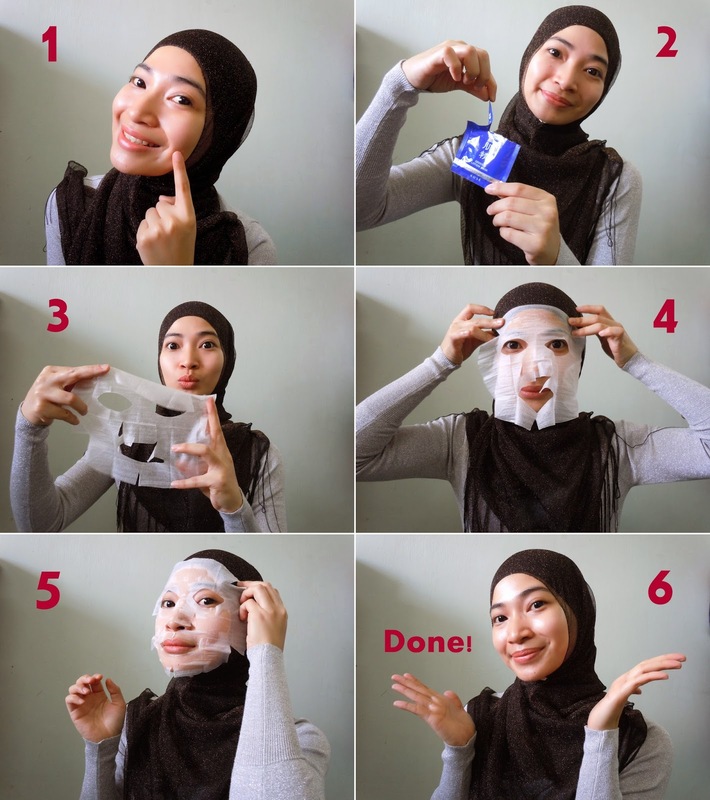 * Keep the mask on for 5-10 minutes, then remove it. Gently rub the remaining beauty essence into your skin by hand. *Finish off with emulsion, cream or any other item your skincare routine. Anyone want to experience its awesomeness KOSE Sekkisei Lotion Mask? 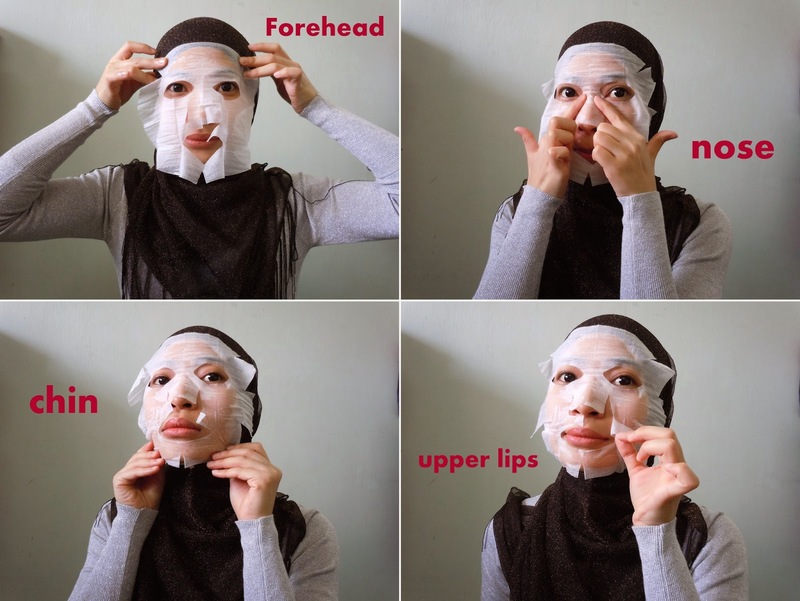 I'm giving away to 24 readers to try out this KOSE Sekkisei Mask. horayyyyyy!!! Q1. What are the 3 main ingredients used in KOSE Sekkisei Lotion Mask? Q2. Name one the of benefits of the KOSE Sekkisei Lotion Mask? Good New For KOSE Lover! We all dream being a fair tale princess. WHY NOT BECOME ONE? 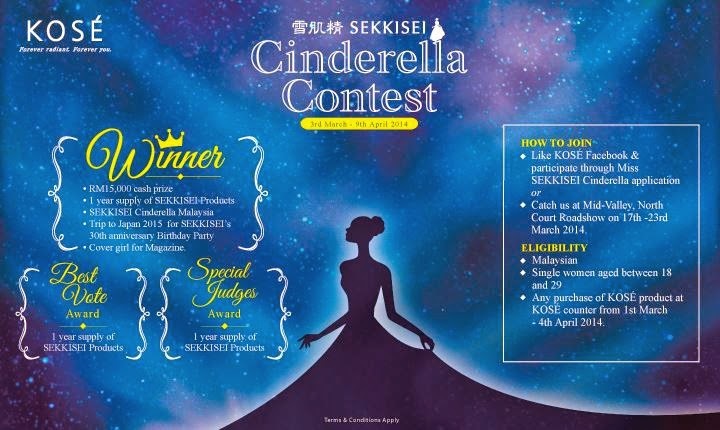 Join KOSE Sekkisei Cinderella Contest today and stand a chance at becoming Sekkisei Cinderella Malaysia with amazing prizes click here to join and see you beautiful at Sekkisei Cinderella Gallery. You can also get SEKKISEI Trial kit at RM170 *WORTH RM317 which consist of Sekkisei Lotion, Sekkisei Emulsion and Sekkisei Mask. 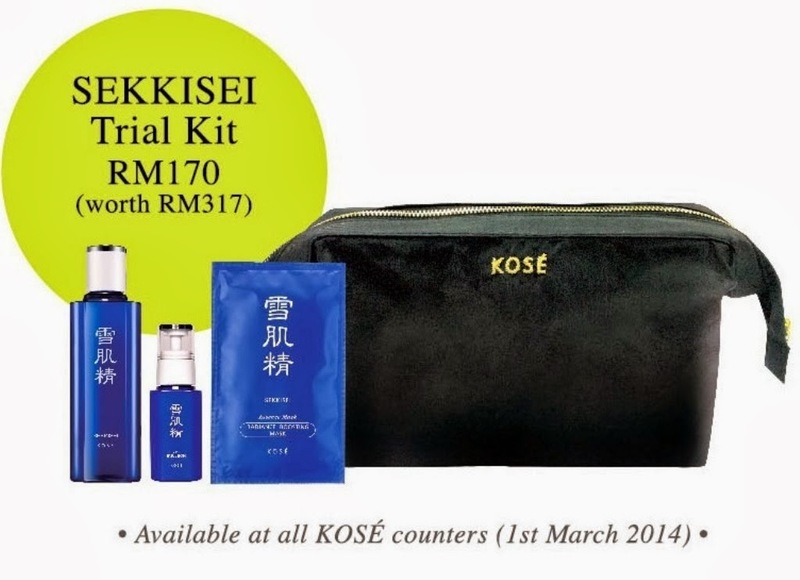 This set is available at all KOSE counters beginning of 1st march. Coix seed extract, angelica extract, melothria ( white lotus ) extract. Moisturising!